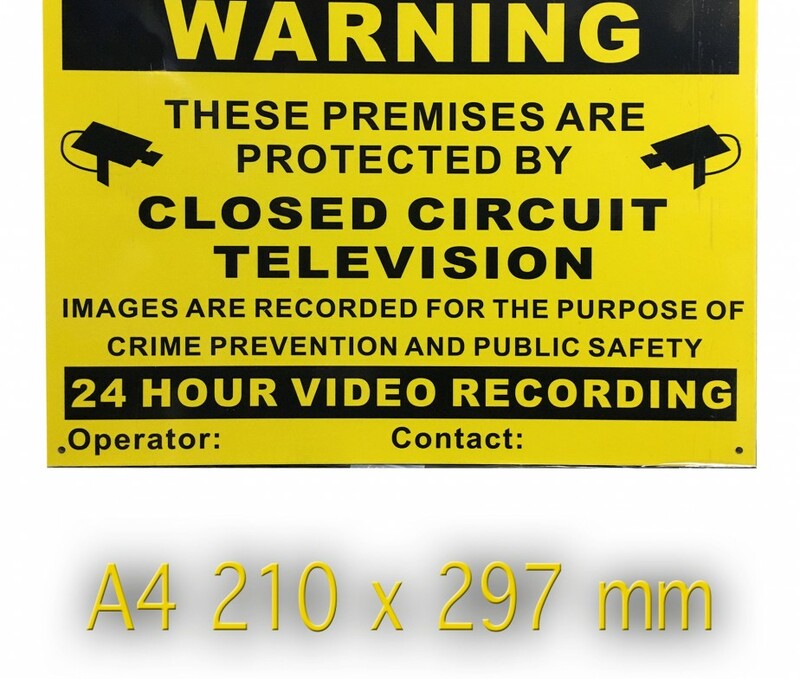 Deter the would-be intruder or burglar with this robust and high visibility CCTV warning sign. 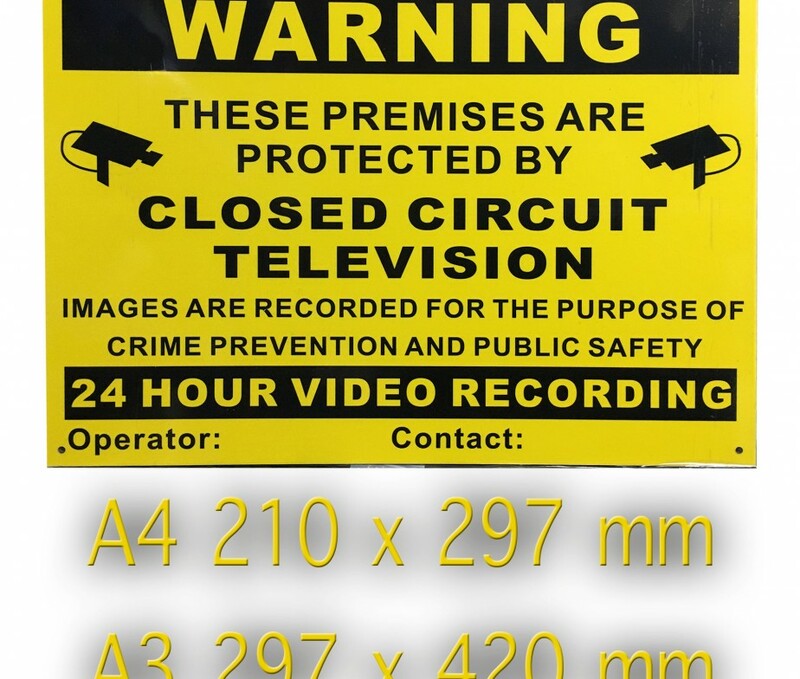 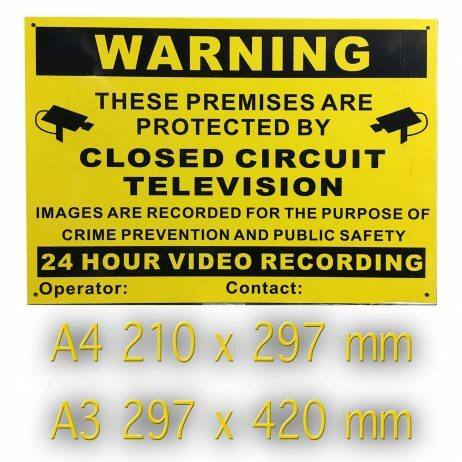 1x A4 CCTV Warning Sign – High Quality Weatherproof Anti Corrosion Aluminum. 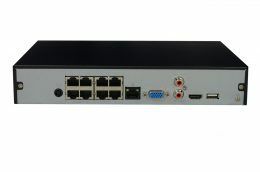 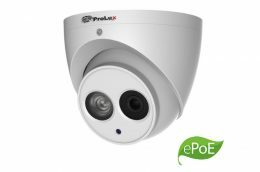 for fixing indoor or outdoors. 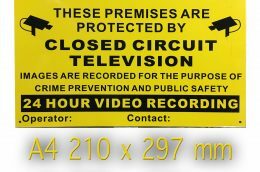 Can be easily drilled for fixing to walls.